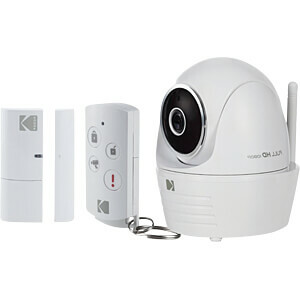 The KODAK Security Camera IP101WG Starter Kit includes a door sensor and remote control for a complete 2-in-1 security and alarm solution, is easy to set up and delivers impressive in1080p HD quality video directly to your smartphone or tablet. It offers on-camera recording on micro SD card, so you do not have to pay for additional services. 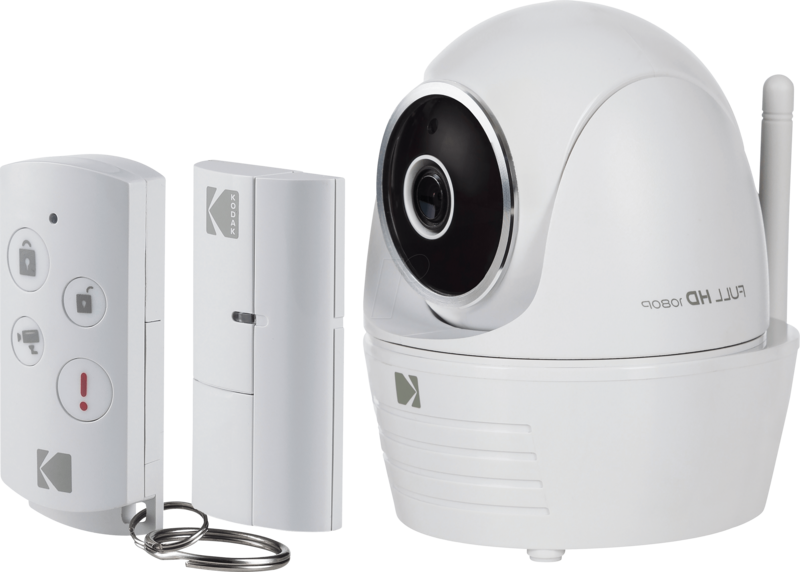 Interference-free, secure video and audio transmission, up to 8 meters of night vision and infrared filters for true daylight color provide excellent images, day and night The free app keeps you up to date, 24/7/365. 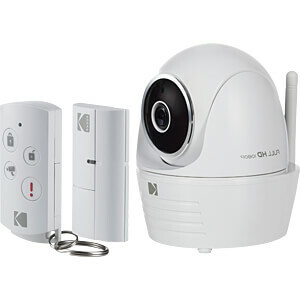 The KODAK IP101WG Starter Kit uses the latest RF868MHz wireless technology to provide more security and protection for your home or office. 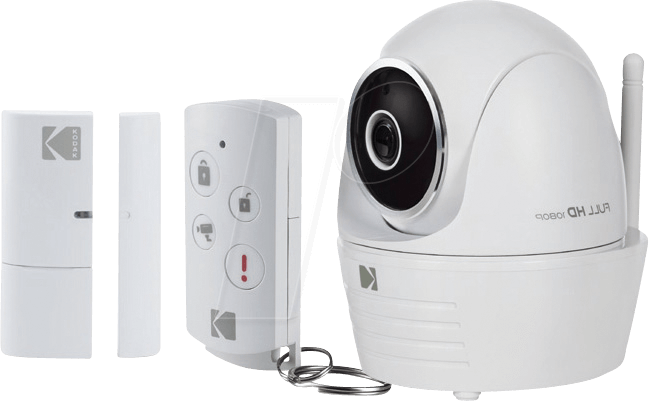 Compatible with the KODAK Alarm System for complete security and control of up to 4 KODAK Security Cameras and 32 KODAK Security Accessories, including KODAK Smart Plug, via the same app. 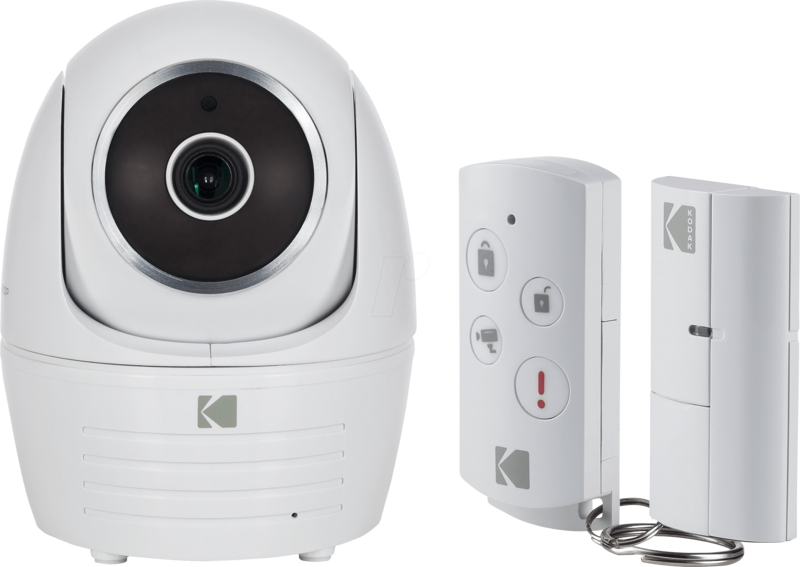 The KODAK IP101WG Security Camera delivers 1280 x 1080 FULL HD resolution for clear video streaming, playback and recording. You control the panning and tilting of your camera via the KODAK Security App on your smartphone or tablet. The camera's motor can move the lens 270 ° horizontally and 90 ° vertically, allowing you to easily adjust the camera view remotely. The automatic positioning feature allows you to reset the position to a previously set point. 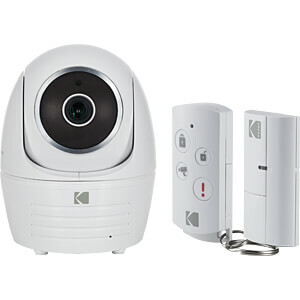 Use your smartphone to hear what's going on over the WiFi camera and talk through the speakers built into the camera. Download video from the camera's micro SD card directly to your personal Google Drive. Watch the video recorded on your personal Google Drive account on your computer, tablet or smartphone. Capture and record video to Micro SD card so you do not need expensive services to store your recordings (Micro SD card not included, support up to 128GB maximum). Five high-performance surface-mounted infrared LEDs let you see potential security risks for your family or business even in the dark, up to 8 meters. With the free app, you'll see what matters most to you - even when you're not there. The free app will send messages to your smartphone or tablet if your camera has detected an "event".